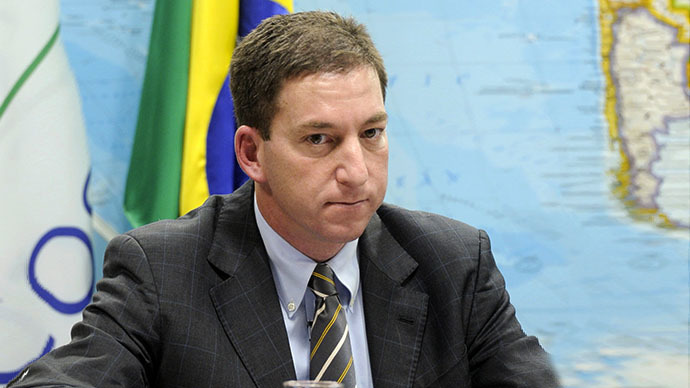 "My partnership with the Guardian has been extremely fruitful and fulfilling: I have high regard for the editors and journalists with whom I worked and am incredibly proud of what we achieved," Greenwald said in a statement after the news was broken by BuzzFeed. No concrete details were specified. 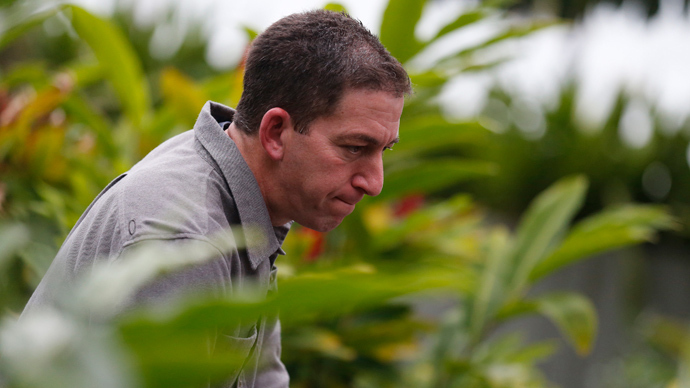 Sources familiar with the matter told Reuters that eBay founder Pierre Omidyar would finance Greenwald’s new venture. Omidyar is known for his investment entity Omidyar Network, which funds numerous philanthropic, business, and political interests. Forbes estimated his net worth to be around US$8.5 billion. Omidyar already finances a news website called Civil Beat, which reports on public affairs in Hawaii and is based on subscriptions. Glenn Greenwald, an American living in Brazil, said the new project will be "a very well-funded…very substantial new media outlet." He added that “my role, aside from reporting and writing for it, is to create the entire journalism unit from the ground up by recruiting the journalists and editors who share the same journalistic ethos and shaping the whole thing - but especially the political journalism part - in the image of the journalism I respect most,” he told BuzzFeed. He also pointed out that his plans were leaked prematurely, so he is unable to reveal any more information at this time. "Because this news leaked before we were prepared to announce it, I'm not yet able to provide any details of this momentous new venture, but it will be unveiled very shortly." He went on to say that his decision to leave the Guardian was “not an easy one” but that he was “presented with a once-in-a-career dream journalistic opportunity that no journalist could possibly decline." Guardian spokeswoman Jennifer Lindauer said in a statement posted on Greenwald's site that "We are of course disappointed by Glenn's decision to move on, but can appreciate the attraction of the new role he has been offered. We wish him all the best." Greenwald made international headlines earlier this year after reporting on former NSA contractor Edward Snowden’s NSA leaks, which revealed detailed information about US global surveillance programs. The journalist has since faced continuous pressure from Western authorities. 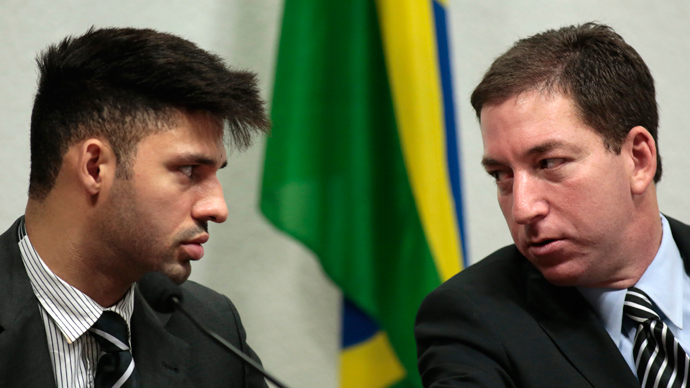 Following the first revelations regarding Washington’s global spy network, Glenn Greenwald’s partner, David Miranda, was detained for nine hours under the Terrorism Act at London’s Heathrow Airport. British authorities confiscated his phone, laptop, and memory storage devices and threatened him with imprisonment. 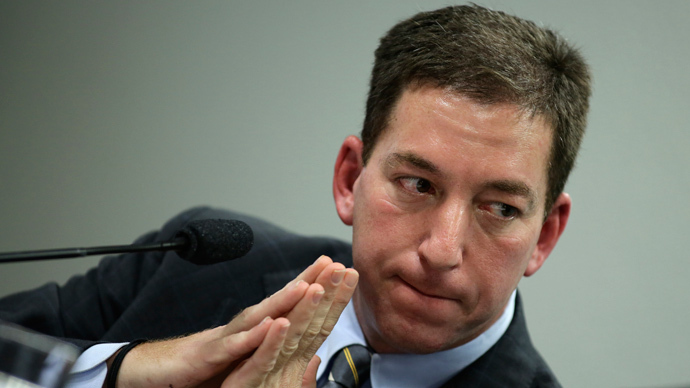 In his latest interview with Radio France Internationale (RFI), Greenwald spoke candidly about the threats he had received from the US and the UK, and about his intention to publish all the documents handed to him by Snowden. “I intend to publish all the documents I have. 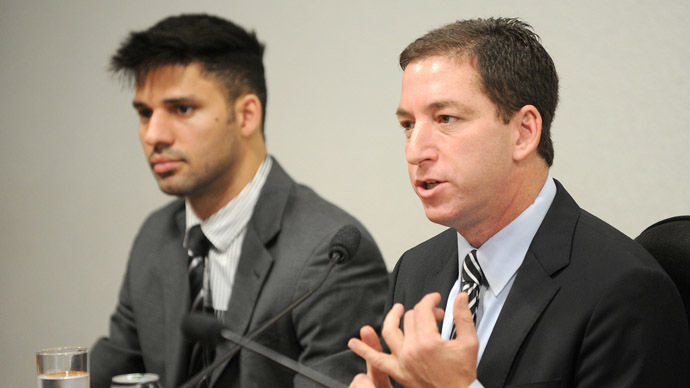 The more threats I get from the US and UK, the harder I will work to publish this information,” said Greenwald.